In 2018, Oh Henry! asked us to launch their Instagram 7 years after the service was introduced, with a whopping budget of $0. 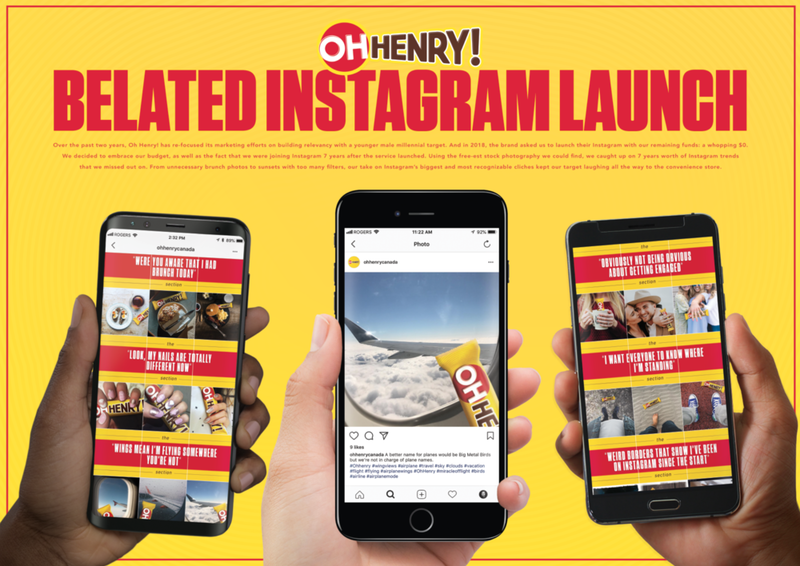 So using the free-est stock photos we could find, we launched @OhHenryCanada by catching up all the trends we ever missed.